The standard support structure supplied with our generators is the CH . M model. This structure has been designed to support several modules with an adjustable tilt angles of 15°,20°,25°, 30°,40°, 45°, 65°. The CH . M is made of aluminum which makes it extremely resistant to external climatic conditions, yet very easy to transport. It has been designed to withstand wind speeds of up to 150Km/h. To support more than 4 modules, a combination of CH4M sub-structures is used. Easy to install, the structures are supplied with its stainless steel hardware (screws and anchor bolts). 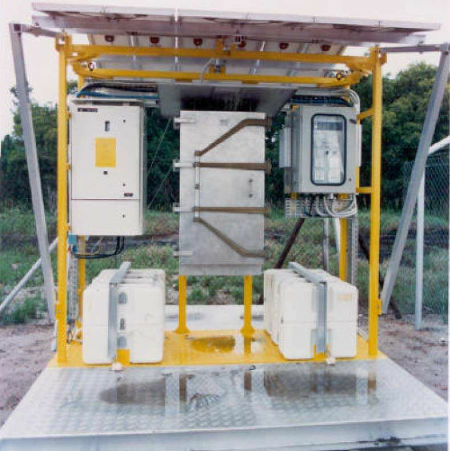 The enginneers of SOLARCOM design and manufacture all types of structure: GALVANISED STEEL, STAINLESS STEEL and ALUMINUM.